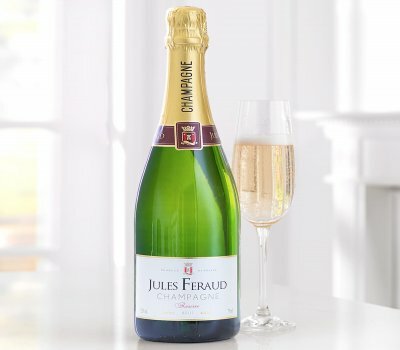 This comes straight from the heart. 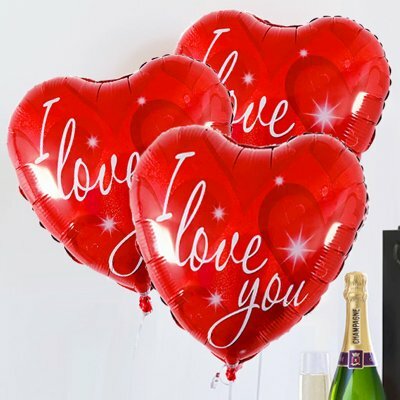 so show just how much you care with this fun gift, so Imagine their surprise and delight when they see three Fun bright red heart Helium I Love You balloons with a delicious bottle of Bubbly Champagne to add to that extra special feeling. 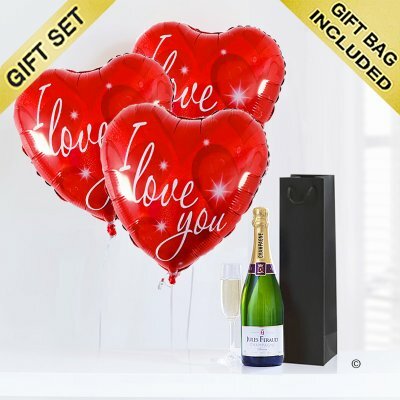 Featuring: 3 red heart-shaped heilum I Love You balloons with ribbon and balloon weight, 1 x 750ml bottle of Champagne 12.5% Vol, ( Best Served Chilled ) presented in a stylish black gift bag finished with envelope and handwritten card with your personal message in.